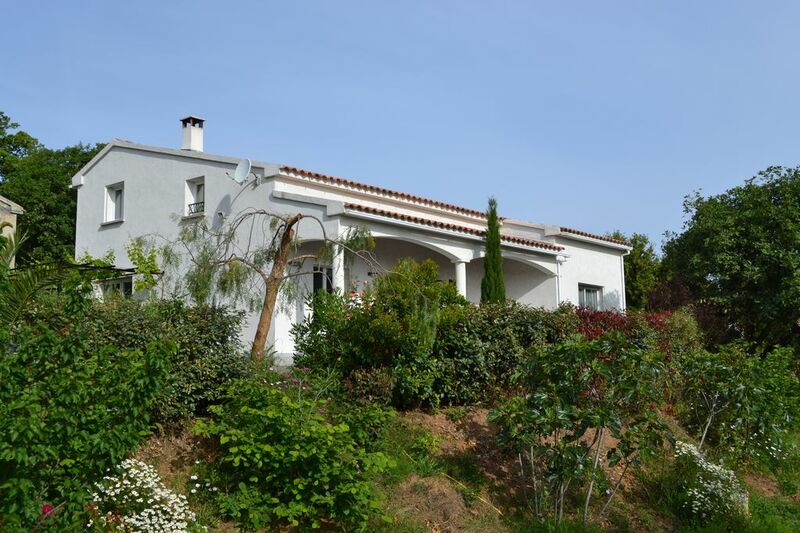 Villa on Corsican coast, garden, 3 terraces, 3 minutes from the beach by car, 8 pers. A villa, comfortable beachfront in Moriani Plage, is what a great vacation. Just browse through 1.3 kilometers of lying on the sandy beach. The villa surrounded by greenery is a haven of peace close to shops and restaurants. It is accessible to a disabled person. You are near the mountains and waterfalls. The house of 200 m2 on 2 levels is composed of 1 living room with fully equipped kitchen and dining area, 1 terrace and barbecue. 1 double bedroom and 1 bathroom-toilet is on the ground floor. Upstairs 2 double bedrooms and 1 bedroom with 3 beds including 2 bunk. The decoration is modern, the charming garden is enclosed. Parking is provided. The house is organized for your comfort, terraces welcome you for a nap, the cozy living room is equipped with wifi, TV, DVD, HIFI. The shops and the town center are 1 km away. You benefit from a sandy beach and a range of water sports. maison spacieuse et très calme. Cadre agréable, quartier calme . Moriani-Plage is a seaside resort on the Costa Verde 40 km from Bastia. You are 10 minutes drive from the mountains, villages, waterfalls and rivers. It is not uncommon to see goats. You reach the tip of Cap Corse in just 1 hour.